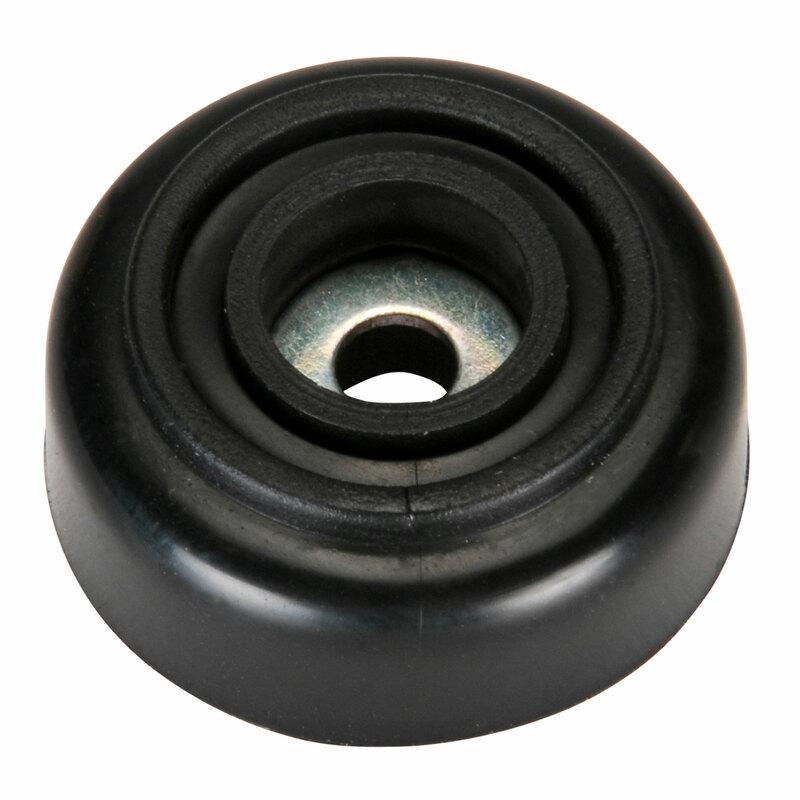 This heavy-duty rubber foot offers a sure grip on all types of surfaces. Ideal for small rack cabinets or speaker cabinets. 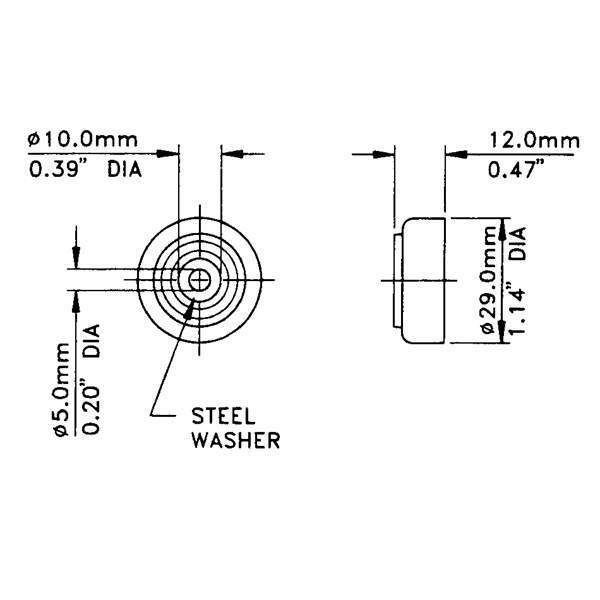 The integral metal washer in the mounting hole helps prevent mounting screw "break-through" and adds overall durability. 1-1/8" diameter x 1/2" high.